Arriving to New York City is always an experience. It can be full of emotions, from anticipation, excitement, to anxiety. Even when I lived there, I always got a bit adrenalized traveling in on the train, plane, car, whatever. 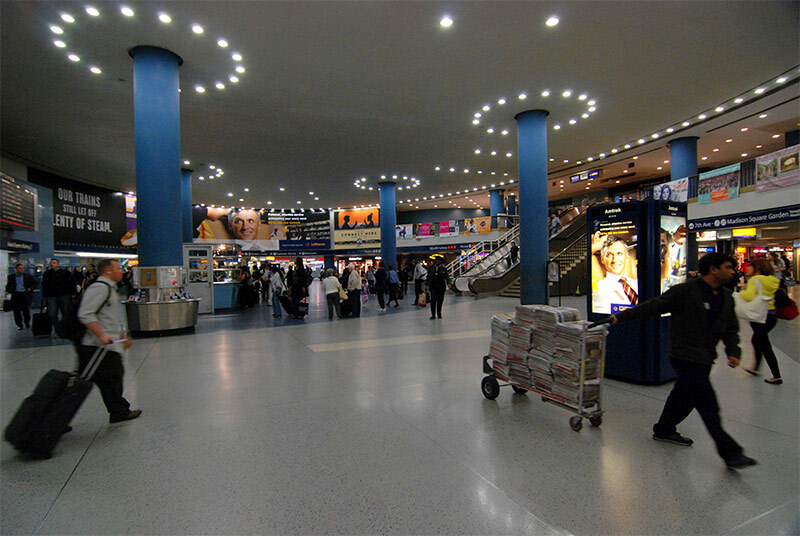 Most of the time when I arrived by train I would go through Penn Station. The limitations of Penn Station are well documented. 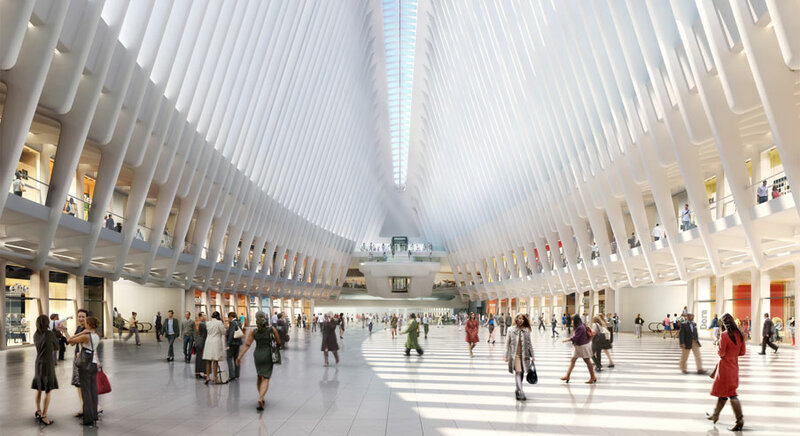 In comparing the previous and current Penn Stations Vincent Scully is quoted as saying “One entered the city like a god, one scuttles in now like a rat”. It certainly does leave much to be desired. 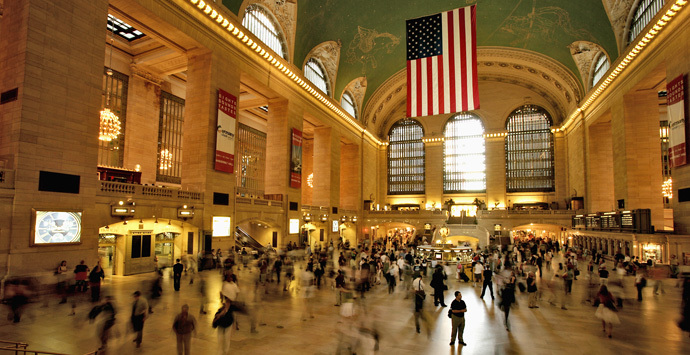 I was fortunate the first time I went to NYC I arrived through Grand Central Station. Today, likely, most people would say this is the best way to experience entering the city. Grand Central’s main concourse is spectacular. It is both of it’s time and timeless and an elegant threshold to a grand city. 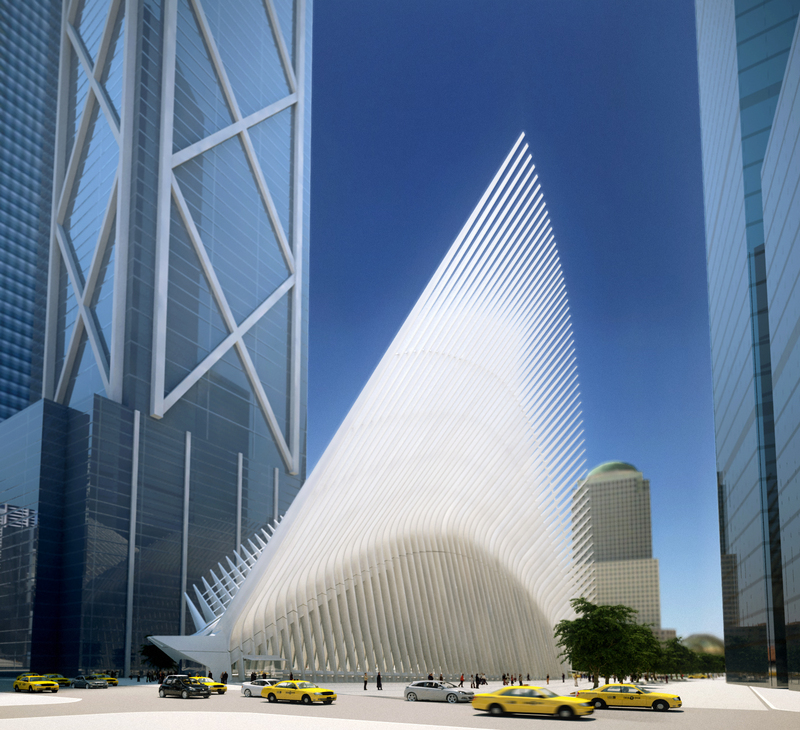 The World Trade Center Transit Hub will match GC in power of experience. It will do it in a different way. It is of this time, and will be timeless as well. 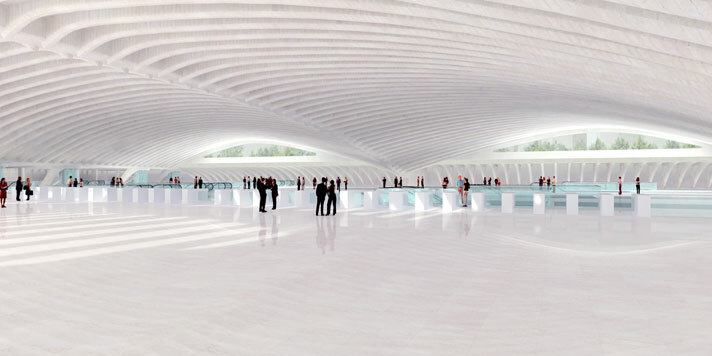 It will provide an itinerary of experiences along a threshold path. It will be representative of our 21st century fast paced, immediate society of the new. Today we collect experiences and are in constant mode of documentation, whether Instagraming or Facebooking. I know this sounds a bit like Archi-talk, and it is. 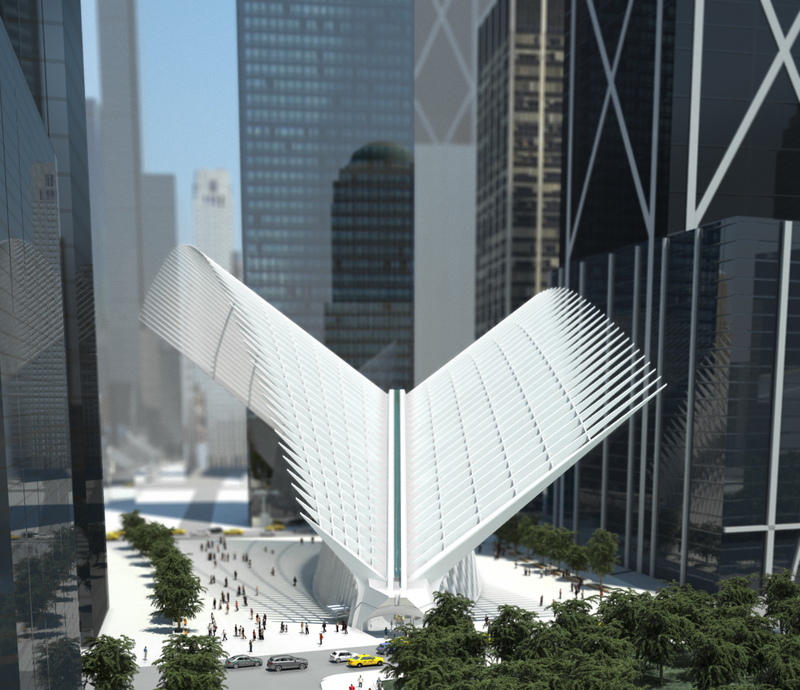 Let me explain by comparing Grand Central to the Transit Hub. When you arrive on your train at Grand Central you exit onto the platform and continue walking along it until you emerge into the main concourse. It is an amazingly spectacular welcome and you definitely feel you’ve arrived somewhere special. 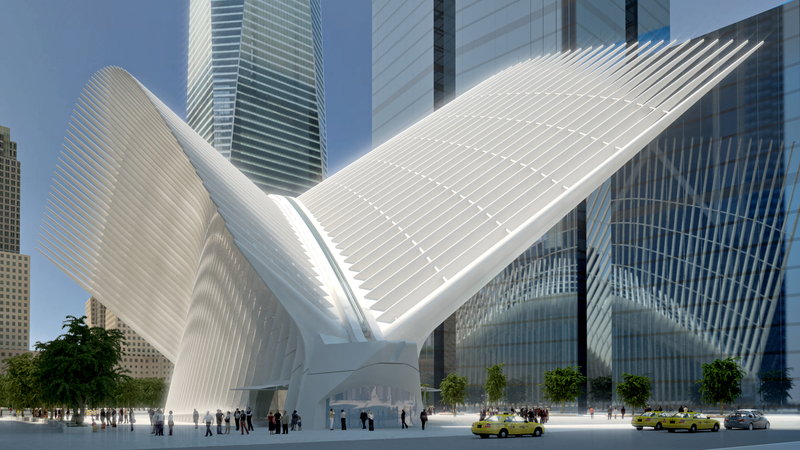 Much has been said and written about the transit hall and wings / ribs of the World Trade Transit Hub. Much of the focus is on the cost. No doubt they will be amazing, but architecturally they are only half the story. It’s the itinerary of arrival at the WTCTH that is special. Arriving at the station you will exit to the platform similar to GC. Though, instead of emerging into the main space from the platform you rise into the mezzanine. The mezzanine is a space of horizontal expanse. Juxtaposed with the extreme linear and somewhat confining nature of train travel it is a release, a breathe. This emergence is a transition between linearity and horizontality. The procession of entering the city continues to the Transit Hall. The entrance to the Hall follows a path under the number 1 subway line and suspended staircases and elevator. The constriction of space accentuates the spacial transition between the Mezzanine and Hall. This is a Threshold between horizontality and verticality. You arrive in the Transit Hall. Beyond the soaring vertical ribs, there is a sense of suspension. Nothing is apparently touching the ground. The levitating structure, staircases and elevators allow you to float into the city above. It is a transition between verticality and suspension. Ultimately the experience is topped off by the soaring wings and skyscrapers. A genius facet of the wings is that they serve a dual spacial function. As you arrive to the city they soar, but if you are approaching the Transit Hub to depart they can be a welcoming beacon. They become an outstretched greeting. I have to admit that I was fortunate to have worked on this project while in NY. I hope that my interpretation of the design vision is truly accomplished. It would be a great addition to the city. More importantly I want it for all those lost on September 11 and their families. We owe them our best.